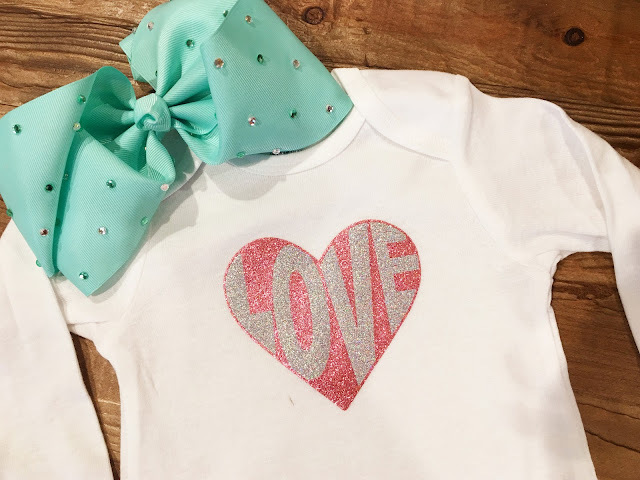 I've got a game changing heat transfer vinyl to introduce to you today! 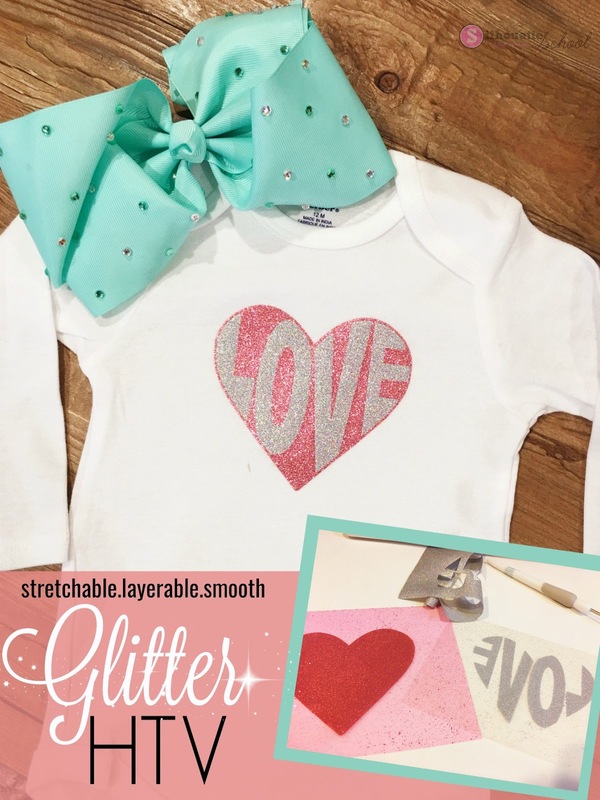 If you've been looking for smooth, stretchy, and layer-able glitter heat transfer vinyl - look no more! Chemica Galaxy Stretchable Glitter is a game changer! 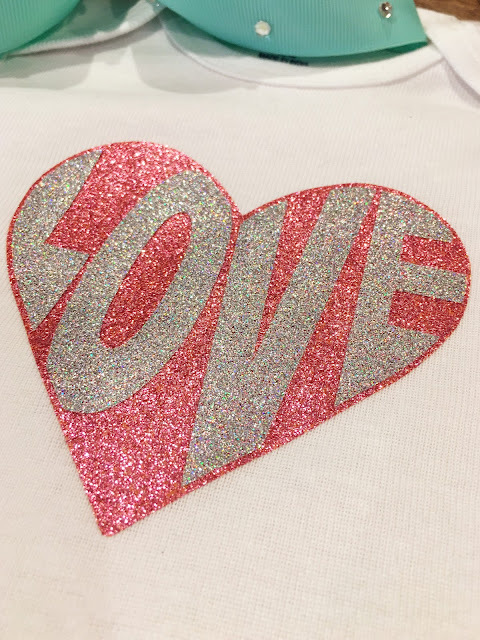 Alright so let's talk about how to cut this stretchable glitter HTV - which, oh by the way comes in 10 colors...and will soon come in Rose Gold - with Silhouette cutting machines. 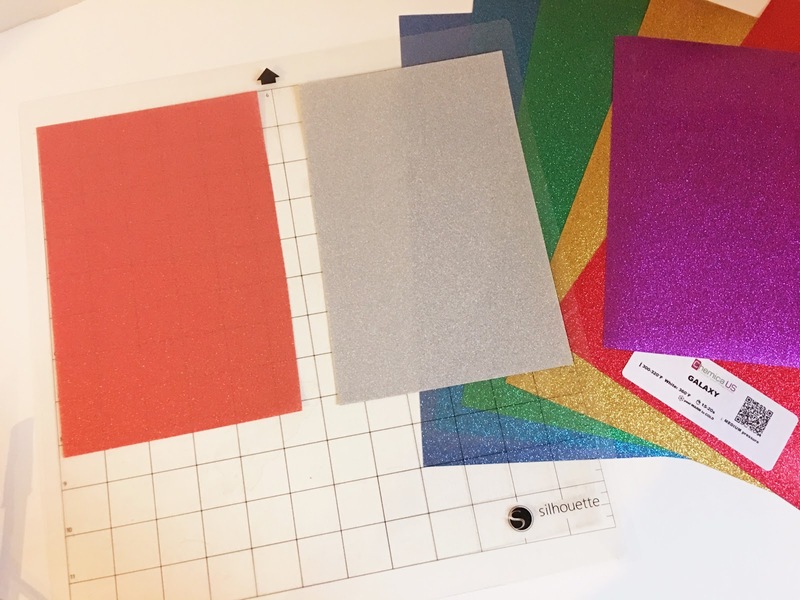 You can find a distributor who sells the Galaxy Stretchable Glitter HTV line by checking out Chemica's Find a Distributor page or get it direct from Specialty Graphics Supply, Sewing Machine, or Sign Warehouse. 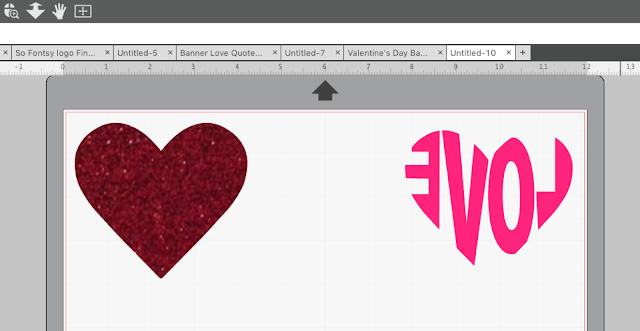 First of all, because this glitter HTV is so thin, you can layer multiple colors on top of each other, it's super easy to set up your design in Silhouette Studio. 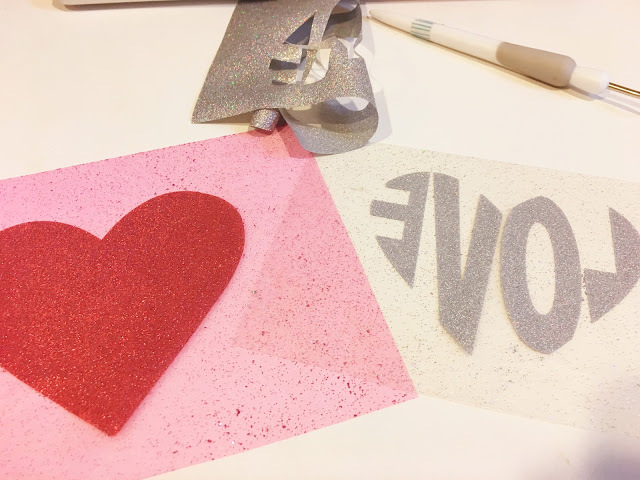 There's no need to use the subtraction and offset method like is necessary for other types of heat transfer vinyl - especially glitter. That means your base piece can be solid - like the heart in this example. Don't forget to mirror the design, since this is heat transfer vinyl. 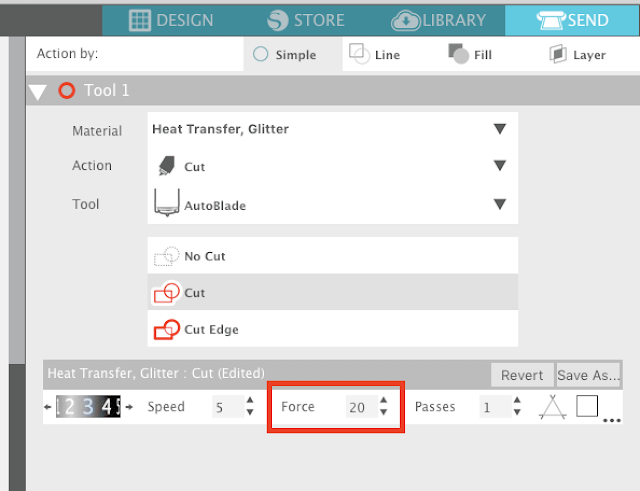 Place the pieces on the virtual cutting mat in Silhouette Studio and then place the pieces of Galaxy Stretchable Glitter HTV so they cover the same grids on the actual Silhouette cutting mat. The shiny side of the HTV should be down on the mat. From the Send panel, you'll need to slightly adjust the default cut settings for Heat Transfer Vinyl, Glitter. 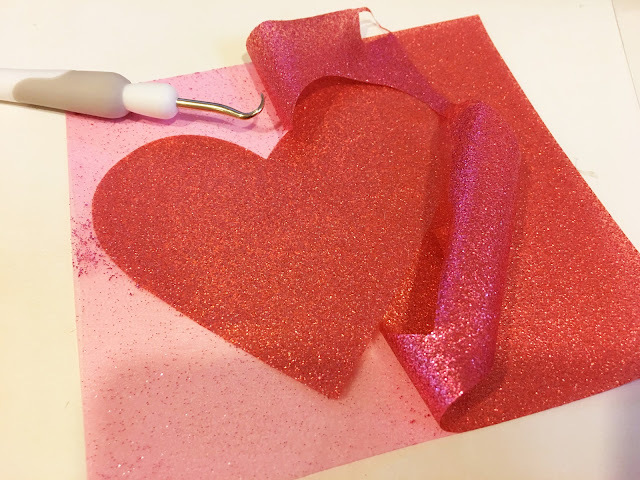 This glitter is so thin it does not need nearly the amount of force to be cut. I backed the Force setting off to 20. 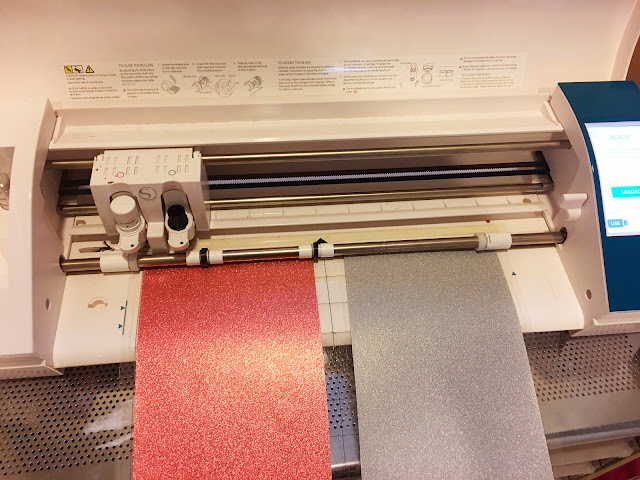 Load the mat into the cutting machine. I would suggest you do a Test Cut to confirm your cut settings on your Silhouette CAMEO or Portrait will cleanly cut through the HTV, but not the backing. Once you're ready, send the design to cut. Remove the cutting mat from the cutting machine when the cutting is complete. 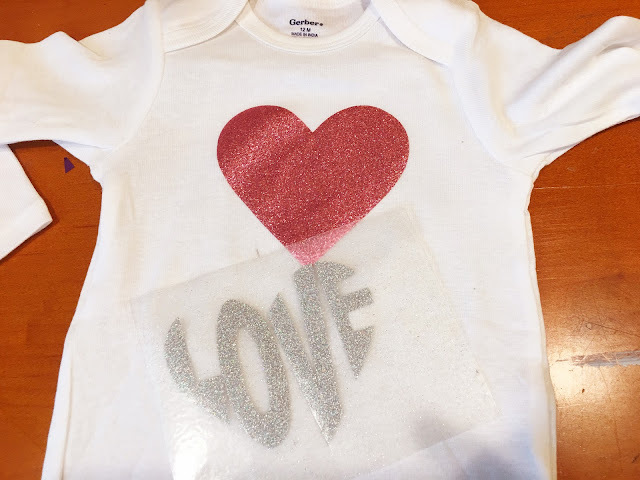 Just like all glitter heat transfer vinyl, it can be challenging to see the cut lines. Use your hook or favorite vinyl weeding tool to weed away the excess HTV around your design. 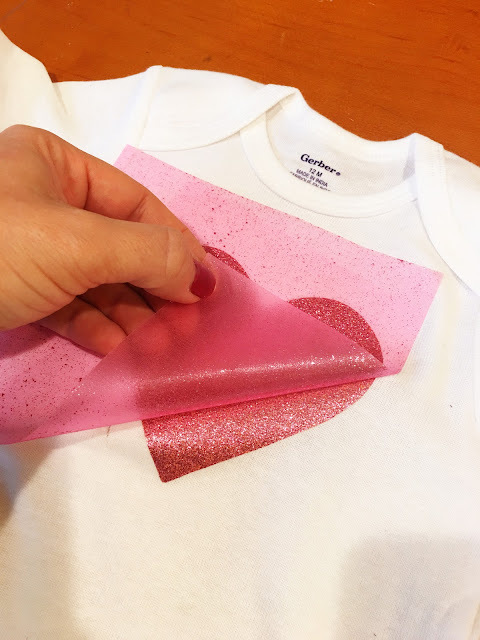 Don't worry that glitter is left behind on the carrier sheet where the vinyl was weeded away, it won't transfer to the shirt or surface where you are applying the Chemica Galaxy Stretchable HTV. Pre-heat your heat press or iron to between 300 and 320 degrees. Place your base layer onto the surface. TIP: You'll notice that the carrier sheet isn't very sticky so you may want to use a piece of high temperature tape to keep it in place so it doesn't move at all while you're pressing. Cover the design with a teflon sheet and then press the first layer for 10 seconds. Let it cool slightly and then remove the carrier sheet. If the HTV wants to pull up with the carrier sheet, let it cool a little longer to set the adhesive. Position the second layer of glitter heat transfer vinyl on top of the base piece (again use a piece of high temp tape to keep it in place if you wish). Cover with a carrier sheet and if this this the final layer press for the full 20 seconds. Wait til the Galaxy Stretchable Glitter HTV cools slightly and remove that carrier sheet. And that's it! To wash, turn the garment inside out and wash on a low temp...and you can tumble dry!! It comes out perfect! Grab some of this awesomeness! Search Chemica's Find a Distributor page or get it direct from Specialty Graphics Supply, Sewing Machine, or Sign Warehouse.